The EMU Notes in Mineralogy present in a condensed form an up-to-date overview of a single topic of interest to the broader geoscience community. The volumes may be accompanied by a summer school. 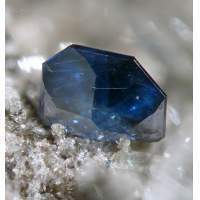 The Notes in Mineralogy are published together by the European Mineralogical Union and the Mineralogical Society of Great Britain and Ireland. Order online now or download an order form.